Game 15 - Steel at Storm; 7.23.16, 2 p.m.
What: The Steel make their only appearance in Tampa Bay to battle the Storm. When: Saturday, July 23 at 2 p.m. (PT). Where: Amalie Arena; Tampa, Florida. National Media: TV - CBS Sports Network. Stream - ESPN3/WatchESPN. This season: June 3 - Steel 68, Storm 35. Series History: Regular Season - Steel lead series 2-1 (1-0 in Tampa). Note: The 33-point margin of victory over the Storm on June 3 is the largest in Portland franchise history. The Steel are 2-12 overall, 0-8 on the road at home and 1-6 in inter-conference play. 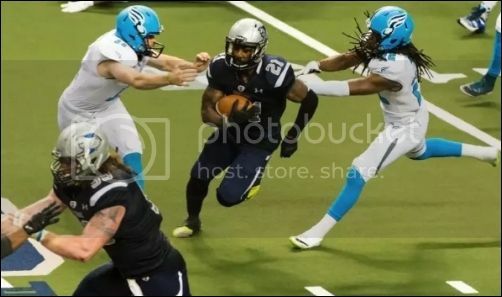 They are coming off a 55-53 home win over the Jacksonville Sharks on July 16. They are averaging 41.6 points per game and are allowing 60.4 points per game. The Steel, who have won two of their last six, are in fourth place in the National Conference. The Storm are 1-13 overall, 1-6 at home and 1-6 in inter-conference play. They are coming off a 56-51 home loss to the Philadelphia Soul on July 16. They are averaging 35.1 points per game and are allowing 55.3 points per game. The Storm, who have lost six straight, are in fourth place in the American Conference. First Downs per game - Steel 18.2; Storm 16.4. Yards per Game - Steel 264.0; Storm 256.1. 3rd Down Conversion -Steel 43%; Storm 38%. 4th Down Conversion - Steel 37%; Storm 27%. Total Tackles - Steel 344.5; Storm 376. Tackles for Loss -Steel 22; Storm 17. Total Sacks - Steel 14; Storm 8. Fum Rec - Steel 9; Storm 8. Interceptions - Steel 7; Storm 7. Had Intercepted - Steel 28; Storm 23. Note that the Steel and the Storm have each played 14 games. The Steel are flying high after beating the Sharks at home last week. 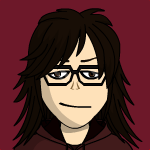 There;s a lot to talk about in this one. Shane Austin was gold, throwing for 17/27 and two touchdowns, and rushing for another. Tom Gilson is still among the league's most reliable receivers, even though he has had a couple quiet games in the last two outings. Austin threw for 5 touchdowns and ran for two in the first meeting between the teams. Austin spread it out effectively between Gilson, James Shaw and Jared Perry int he first game against the Storm. The Steel defense forced six turnovers in the first meeting between these teams. Player to Watch: Tom Gilson (WR) . Wild Card: Shaine Boyle (DB). The Storm are at the bottom of the barrel. If they lose this game, they are guaranteed of the worst record in the AFL. If if hadn't been for a surprise win over the Rattlers eight weeks ago, the Storm could be 0-14 right now. However, the team has a rich history. The Storm are one of two teams to have won an AFL record five ArenaBowls. Adam Kennedy will probably get the nod to start at QB in place of the injured Jason Boltus. T.T. Toliver is one of the league's best receivers, but there is little help among the rest of the receiving corps.The Storm have never beaten Portland at home. Player to Watch: T.T. 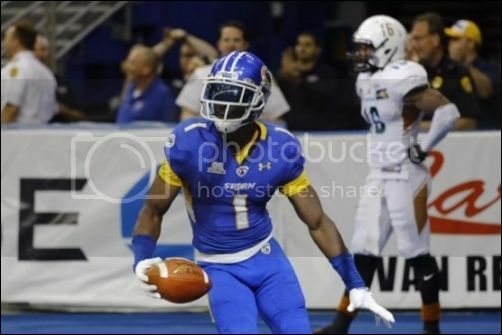 Toliver (WR). Wild Card: Cortez Stubbs (DB). ““We’re starting to believe, and this is the time of year when we’re supposed to believe. “You’d expect him to be intelligent, which he is, but John is more than that. He’s a guy who really studies the game, understands what everybody is supposed to be doing. He has a good way of ingratiating himself to his peers. Coming into this game, the Steel's defense has forced just 16 turnovers on the season; 7 interceptions and 9 fumbles. They did not force a turnover in last week's win over the Sharks. The following is a chronicle of the team's forced turnovers (by the defense) over the course of the season. Tom Gilson is on pace to become Portland's franchise single-season receiving yards leader. Last week he moved into second, passing V'Keon Lacey's 1,158 yards in 2015. 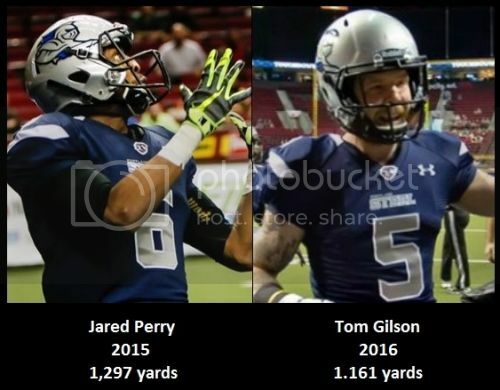 Entering this game, Gilson is 153 receiving yards away for taking first place, which is held by Jared Perry. Perry Holds the all-time record with 1,297 yards, set last season. Gilson is averaging 82.9 receiving yards per game this season for the Steel. But first, I want to congratulate my best friend, Yeseeka, and Simon on their just announced engagement. You are perfect for each other and I am happy for you both! Touchdown Storm. V;Keon Lacey 9 yard pass from Adam Kennedy. Delbert Alvarado kick. Great throw by Austin and catch by Gilson! Bryson Kelly 4 yard run. Kicked blocked, returned by Qua Cox, returned for 2pt. Inadvertent whistle. The return does not count. That was weird on the extra point! great to see you! keep watching with us! You have to intercept that, Pierce! that is a BS PS call on Obi. these refs have no clue when to blow the whistle. Hey everyone. My computer just died this week while on vacation believe it or not, and I'm on here with an iPad mini given to me. But so don't know how much i will or can comment on this game. Either way good luck to your guys' Steel. Dexter Davis with an interception for the Steel, but negated by a procedure penalty.